Is there a way to import recipes? I love the app allrecipe.com because it gives me a great overview, pictures and the capability to add more recipes from different websites. Would be great of that could somehow be imported. I’m not a fan of their inventory. Also more barcodes or a barcode search to find items on the web would be great. Kind of tiresome to have to manually enter everything. Thank you for your feedback. Unfortunately, there is no way to import recipes yet, but we will consider this feature in one of the upcoming updates. Thanks for your cooperation. I wish we could add ingredient quantities that were independent of the grocery list. I.e I would love to add that I need 1 egg for my recipe, but if I add that quantity to the ingredient in my recipe, then add that ingredient to my shopping list, that quantity is now part of my shopping list. If I have eggs in multiple recipes, the quantity is not accurate, and of course we buy eggs by the dozen, so this quantity makes no sense when shopping. Perhaps 2 quantity fields, one for shopping list, one for the actual recipe amount. Also, it would be nice if when ingredients are added to multiple lists, I.e tomatoes to farmers market list, rice to grocery store, that ingredients not on the current selected list still show as selected but perhaps greyed out so you can tell easily that you did not forget to add selected items to some list. It would have to only display items from select shopping lists I.e. I always have cashews on my travel list, but if I needed them for a recipe it would be misleading to show it. Aside: I could change my travel list to a to-do type list, but to-do type list do not seem to allow for an associated favorites list to select from. This would be helpful since people tend to repeat certain to-do items. For this reason, currently my travel list is a shopping list type. Also, I wish to-do lists had a comparable button to “checkout” to quickly clear the list rather than the two step process. 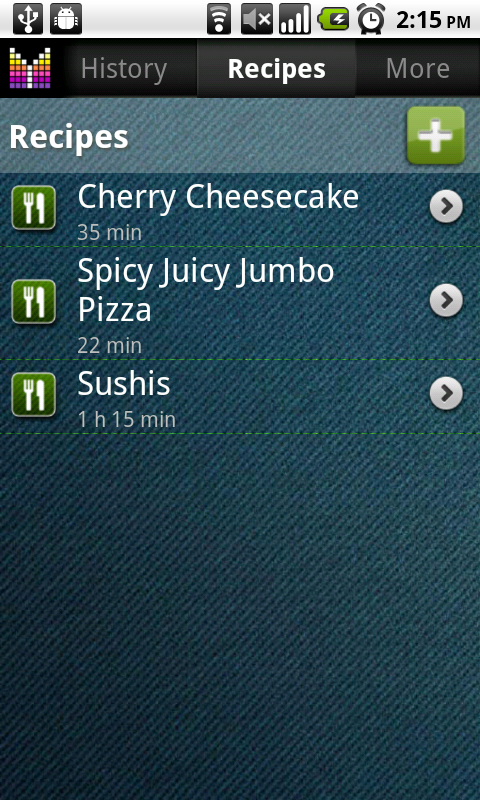 Last, is there a time frame for menu planner? Dorothy, thank you for your thoughtful feedback. We are aware of the problem with different quantities required in recipes and shopping list. We plan solution in one of the upcoming updates. 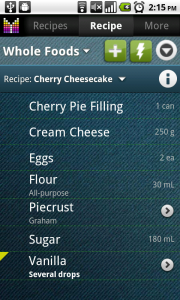 The app will show checkbox if ingredient exists in the list other than current. This behavior will be available in the new update which is now in Beta test. However, it will be misleading with travel lists as you mentioned. You may want to use slightly different names for products in recipes and on your Todo list until we offer a better solution. As for adding items to Todo list from other lists, we are planning this feature in one of the upcoming updates. Can’t delete recipes? When I long-tap a recipe, there’s no delete command in the context menu. When i enter edit mode and press the X in front of a recipe, i get a toast message saying “sorry you cannot delete system entries” (backtranslated from German). Any idea? Hi Frank, thank you for contacting us. Due to unfortunate bug, it is not possible to delete 3 first recipes in MG v3.0 and earlier. This is fixed in the new version. It is now in Beta test and should be available soon for public download. If you’d like to try the update, feel free to join the Beta Testing Group. Hello Alex and thanks for your reply! Okay, since it only occurs for the first three recipes, and I can still fully edit them, like rename and change their ingredients, it’s not a problematic bug, but rather cosmetic. I’ll try out the beta version anyway, I like testing stuff! Also, congratulations for this app, I’m very taken with its sophisticated features! The things I’m still missing (synchronization of pick lists e.g.) have been mentioned here already. I’m looking forward to the intended “meal planner” feature! Frank, thanks for your response. The new Beta version 3.1 features the Meal planer and some Pantry improvements. Pick list sync will most likely be available in one of the future updates. ve tried to manage my reciepes. I added some of the products to a different favorite list. But if i select all products in the reciepe and try to add them to the shopping list automatically it adds everything to the same list. I thought it would put the favorite products into their matching / connected shopping lists. May be with a multiply connection, so MG can choose the best way. But the example reciepe i created Container products which are only available at one of the groceries. So it would be nice if MG would add them from the reciepe list over the favorite list to the shopping list. Hi Andi, thanks for your feedback. We are working on the update which should work similar to what you describe. Please try the new version when it’s available (a few more weeks perhaps) and let us know if it works for you. 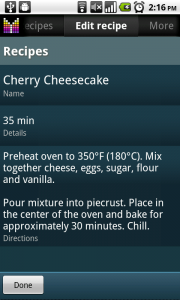 I love the recipe part of this app. Its easy to copy and paste your favorite recipes into one place. Did i say one place? Yes i did. Come’on man where is the sync?.. 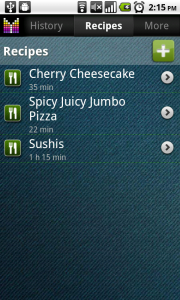 hehe great app, need synchronization for the recipes! Michael, thanks for your feedback! Sorry for the inconvenience, we plan on adding recipe sync feature going forward. Thanks for your patience! Is it possible to share recipes with other Mighty Grocery users ? Hi Kathleen, thanks for your question. Unfortunately, sharing recipes with other users is not available, but we plan on adding it in the future. I would rather not type all the recipe info manually. It would be incredible to select any webpage with a recipe, and have the app pull the ingredients into the shopping list. This would make weekly shopping trips a breeze especially when trying new recipes. Hi Mark, thanks for your feedback. 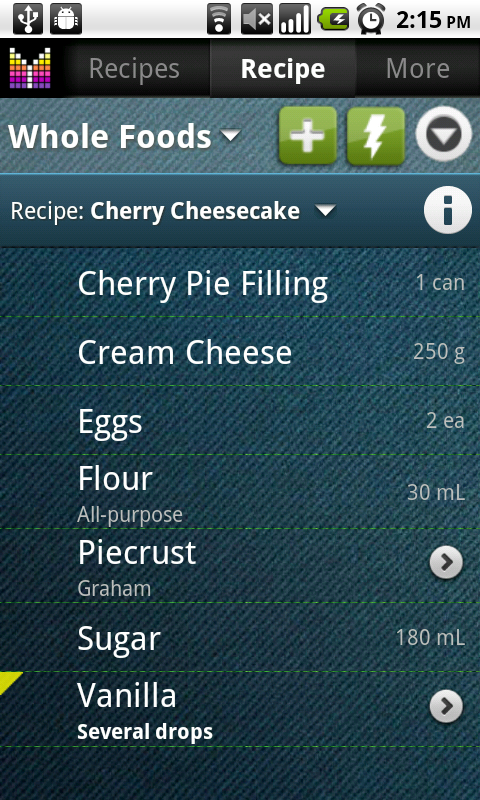 We have plans to improve recipes feature, including ability to pull recipes from websites. Hopefully it won’t take to long to implement. Is it possible select recipes and then have the ingredients added to a shopping list. i.e. if I want to make macaroni cheese then and my recipe has 250g of macaroni and 50g cheese and I decide that I want to eat this 3 times in a week then is there a way of having 750g of Macaroni and 150g of cheese added to the weeks grocery list? Ben, thanks for your question. Yes, it is possible to add multiple items and multiply quantity by 3. Just tap an ingredient row > choose “Add selection” > select items you’d like to add > enter “Multiply by” value. I agree with Tony as I, too, am anxious to manage/add/tweak my recipes from online as everyone knows it’s much quicker to type on a keyboard than it is to manually key things in on any handheld device. Being able to manage/add/tweak recipes online than take advantage of the shopping list features on the way home from work (or wherever) to grab what is needed for the planned meals would be (obviously) a key advantage in this app having a huge leap over its competitors. By far, it’s the best shopping app I’ve worked with. I look forward to it incorporating the same level of ease and positive experience with working with recipes online. Thanks so much! Tammy, thanks for your feedback. We plan to allow recipes editing online going forward. I hope it will be available soon. Thanks again! I too have used Mighty Grocery for some time and don’t go to the supermarket without it. I am really looking forward to being able to manage recipes on the website. Do you have any news when this might be available? Tony, thanks for your feedback. We are working on the new version of the website, but unfortunately there is no specific date for managing recipes online. Thanks for your patience and understanding. Please consider working on this soon! This is a feature I would love to use. I would also be interested in a meal planning feature where we could pull recipes into specific days. For now, recipes available on the website would really help with my meal planning as I work from my laptop and use an Excel spreadsheet. Thanks! Nikki, thanks for your feedback and supporting these features. Yes, I would LOVE to have the ability to add/edit recipes online. I just bought the app with this expectation, and I’m sorry to see that I’m going to have to input all my recipes via my phone. Otherwise, I’m very pleased with the app! Lauren, thank you for your feedback. Sorry for the inconvenience. We plan to add editing recipes online going forward.